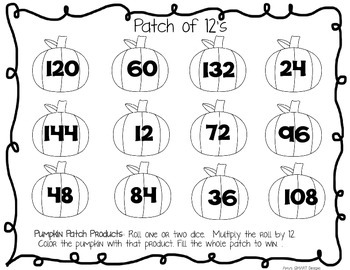 Use these colorboards to pair your students to practice multiplication facts. The set contains 12 boards--each one practices a different numbered fact 2-12. 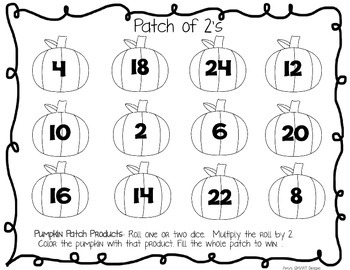 Students shake one 12- sided or two 6-sided number cubes and multiply the number shaken by the pumpkin patch board number. They then color in the product. 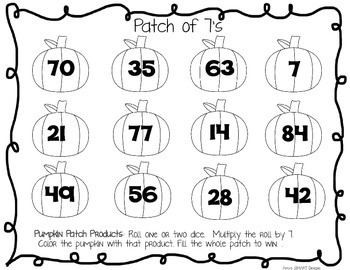 Winner fills the board first or has the most colored pumpkins when the class timer sounds! Differentiate! Pair students up using different boards to work on the skills they really need! 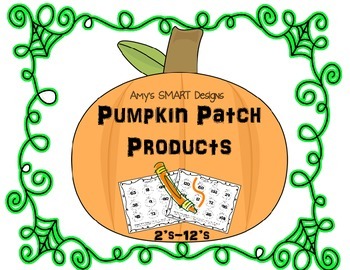 A fun fall activity!